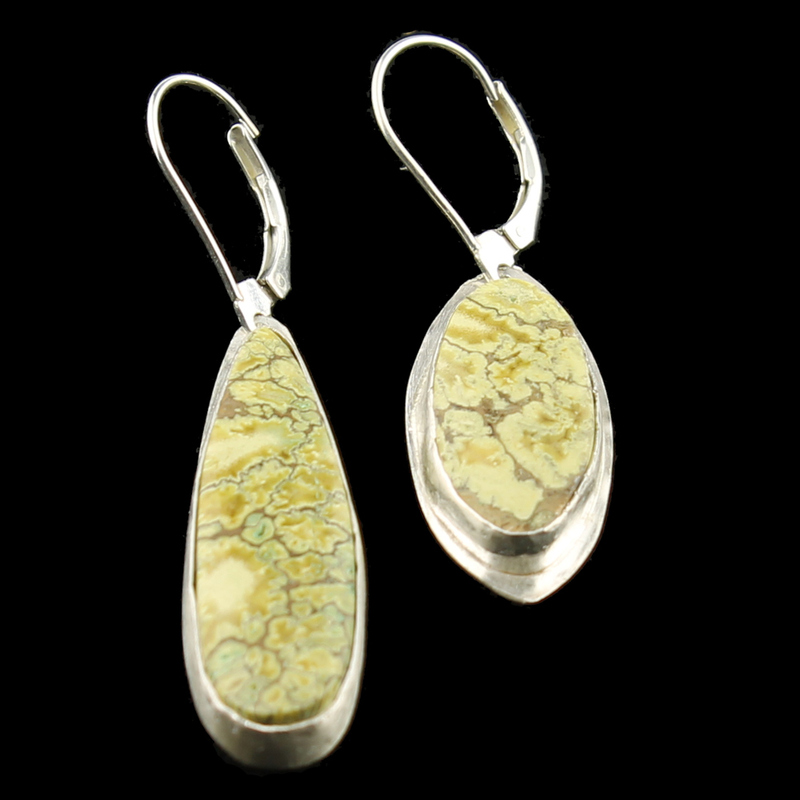 Earrings made with dragon skin serpentine stones. The stones are two sizes of yellow green and brown ovals. The longest is 1 1/2 inches and the shortest is 1 1/4 inches.